The growing phenomenon of financialization influences an array of societal dimensions that go beyond the economic realm, to include public policy-making and information technology (IT). This study presents a cross-country analysis of the emergence of national electronic identification (e-ID) solutions as the result of interaction between the financial and the public sector in Denmark, Norway, and Sweden. Drawing on on-line sources, documents, and interviews with key actors in the three cases, we adopt a cross-disciplinary perspective by applying the lens of collective action theory to identify the role of interests, resources, and governance in the emergence of national e-ID solutions. Findings show that different governance solutions can emerge as the result of the convergence of interests and of interdependency of resources between the actors over time. We contribute to research on financialization and IT by proposing a dialectic process model and identifying five mechanisms that drive the process forward. The authors would like to thank Telenor Research and Future Studies for the funding that made this research possible. We are indebted to those we interviewed for their interest, help and support. Special thanks to Frances D’Silva at Nets Norway AS, who was instrumental in helping to establish this study. Medaglia, R., Hedman, J., and Eaton, B. (2017). 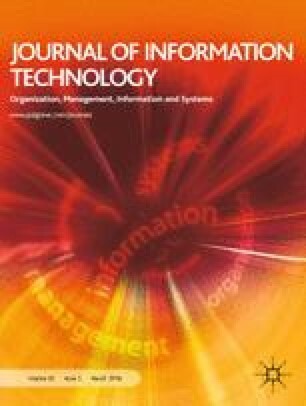 Public–Private Collaboration in the Emergence of a National Electronic Identification Policy: The Case of NemID in Denmark. In Proceedings of 50th Hawaii International Conference on System Sciences (Hawaii, USA), p. 2782–2791. http://hdl.handle.net/10125/41492. OECD (2016). NemID—Danish National eID and Digital Signature Scheme. Retrieved March 10, 2016, from https://www1.oecd.org/governance/observatory-public-sector-innovation/innovations/page/nemiddanishnationaleidanddigitalsignaturescheme.htm#tab_implementation.